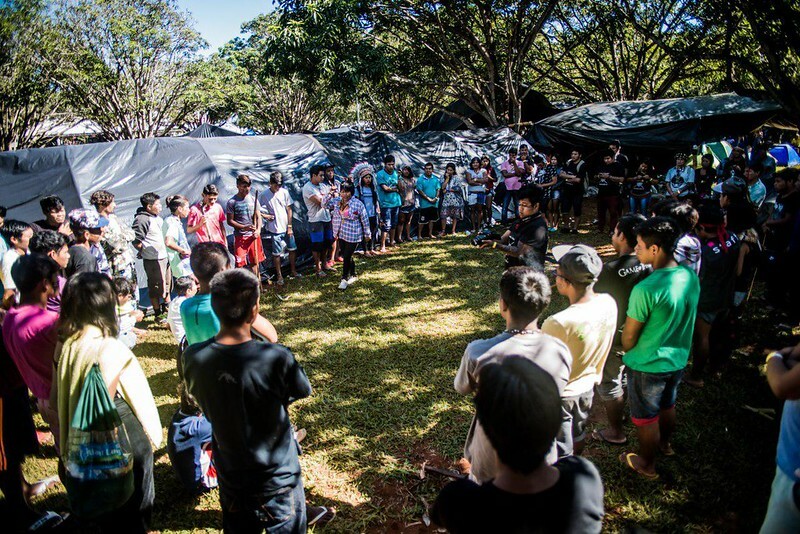 The 15th Free Land Camp (Terra Livre, or ATL for its Portuguese acronym) brought 3,000 Indigenous Peoples and their allies together from all regions of the country at a massive encampment in Brasilia to call for justice for indigenous communities. Participants used the gathering—one of the largest ever—to create and present a unified political agenda before the Brazilian government. Indigenous women had an exceptionally strong presence at this year’s encampment, organizing the opening ceremony and playing a greater role in the elaboration of indigenous policies. 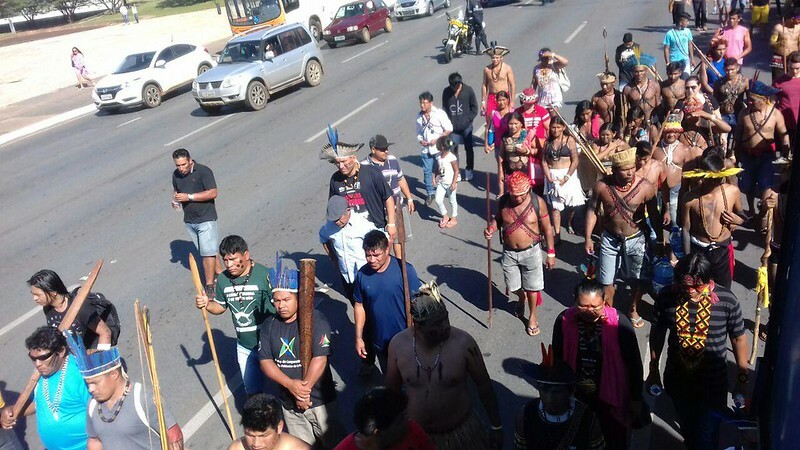 The encampment also served as a protest to what many consider an unprecedented and increasingly hostile attack by the administration of President Michel Temer on indigenous rights, in favor of the country’s rural and agribusiness elite. According to data from Global Witness, Brazil is rated the most dangerous country in the world for social and environmental activists—a record that has only worsened under the Temer government and a Congress dominated by the rural caucus (agribusiness lobby). Although the country has recognized nearly 200 million hectares of land as community-owned, these gains as well as untitled lands are at risk from development, infrastructure, and agribusiness projects. A failure to demarcate indigenous lands as guaranteed under Brazil’s 1988 Constitution and, in certain cases, the cancellation of already established demarcations. The Munduruku community also held a specific protest against a decades-long government delay in the demarcation of their Sawre Muybu territory and the imposition of a dam on their lands. An unprecedented number of anti-indigenous bills moving through the Senate, as well as Constitutional Amendment 95—which effectively freezes federal spending for 20 years, including resources earmarked for indigenous communities. Infrastructure projects that are moving forward without the consultation or consent of indigenous communities who would be affected by them. A recent decision by Justice Minister Torquato Jardim to appoint Wallace Moreira Bastos—a businessman who has no experience with indigenous affairs—as the new president of FUNAI, the government agency in charge of indigenous issues. In recent years, the agency has also seen massive budget cuts. In the context of increased violence and criminalization of indigenous leaders, encampment participants are calling for the state to take concrete actions to correct these injustices, including the demarcation and protection of all indigenous lands, the institutional strengthening of FUNAI, increased investment in health and education serves, and the rejection of legislative initiatives that attack Indigenous Peoples and run contrary to international treaties signed by Brazil, among others. Leaders from Brazil’s Indigenous People Articulation (APIB)—noting the presence of international delegations for the first time—are also calling on the international community to help hold the Brazilian government accountable for respecting Indigenous Peoples’ rights. About the author: Lindsay Bigda is the Senior Officer, Communications and Advocacy at the Rights and Resources Initiative.